SeaSnax Organic Roasted Seaweed Snack (Wasabi), 0.18oz. Skinny Pop Sharp Cheddar Popcorn Mini Cakes, 5 oz. AshaPops Popped Lotus Seeds Bombay Pepper Masala, 1 oz. AshaPops Popped Lotus Seeds with Dark Chocolate, 1.5 oz. AshaPops Popped Lotus Seeds with Turmeric, 1 oz. AshaPops Popped Lotus Seeds Vegan Cheese, 1 oz. Skinny Pop Sea Salt Popcorn Mini Cakes, 5 oz. Skinny Pop 100 Calorie Snack Pack, 0.65 oz. Field Day Organic Butter Flavored Microwave Popcorn, 6pk. Good Health Peanut Butter Filled Pretzels, 5 oz. 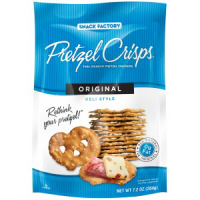 Snack Factory Original Pretzel Crisps, 7.2oz. Snack Factory Everything Pretzel Crisps, 7.2oz. Quinn GF Classic Sea Salt Pretzels, 7 oz. Stacy's Multigrain Pita Chips 8 oz. Stacy's Simply Naked Pita Chips, 1.5 oz. Annie's Organic Snack Mix, 9oz. FSTG Blue Corn Tortilla Chips, 5.5oz. FSTG Multigrain Tortilla Chips, 5.5oz. FSTG Sweet Potato Tortilla Chips, 5.5 oz. 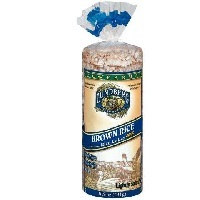 Lundberg Organic Brown Rice Cakes, 8.5oz. Torres Select Black Truffle Potato Chips, 4.41 oz. Hippeas Sriracha Sunshine Chickpea Puffs, 4 oz. Stacy's Sea Salt Pita Thins, 6.75 oz.